CLASSIC WEEKEND 2015 | What’s Poppin’ Tonight! 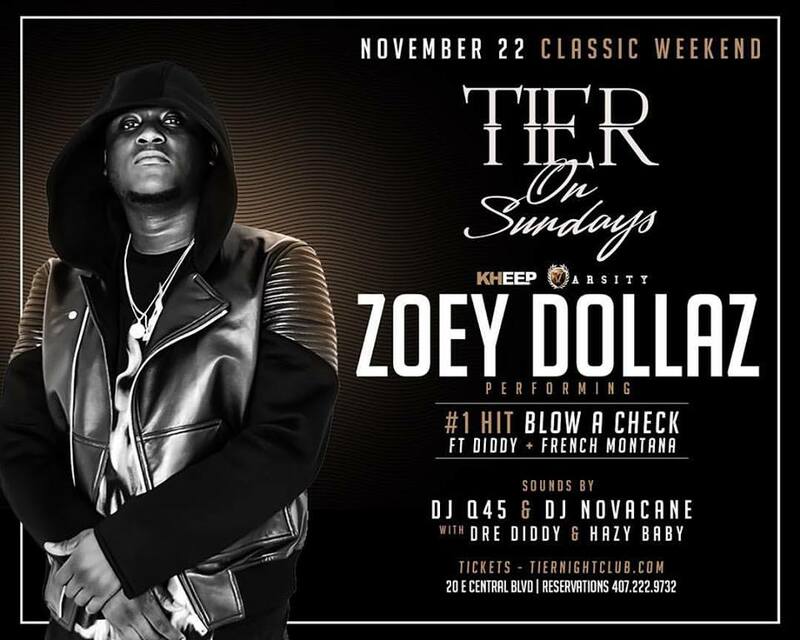 Varsity & KHEEP presents Tier On Sundays featuring Zoey Dollaz performing Live at Tier Nightclub ~ Phresh Hott New! Tonight! 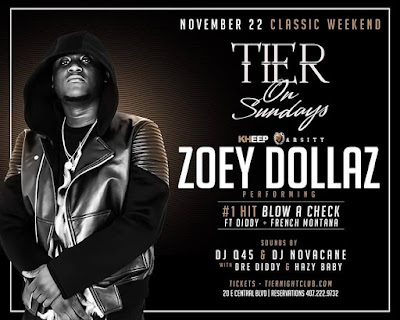 Varsity LG and KHEEP Entertainment Group presents Tier On Sundays with Zoey Dollaz performing #1 Hit “Blow A Check” featuring Diddy and French Montana at Tier Nightclub.